"Kogoro decides to go to Nagano after receiving a request/job ! With Amuro & Co, Conan goes to where the sender is, but...!? The exciting long series starts !" "In this chapter, the Mouri family (supposedly Kogorou, Ran & Conan) go to somewhere by train. Kogorou, Conan, Amuro & the small-moustache ojisan wearing the eye patch (Wakita Kanenori) are seen together. After arriving at an annex (hotel), 5 key side characters of the new case are introduced." And courtesy of Mak, we know this case will be 5 files long. 1,027 spoiler pics are now out. 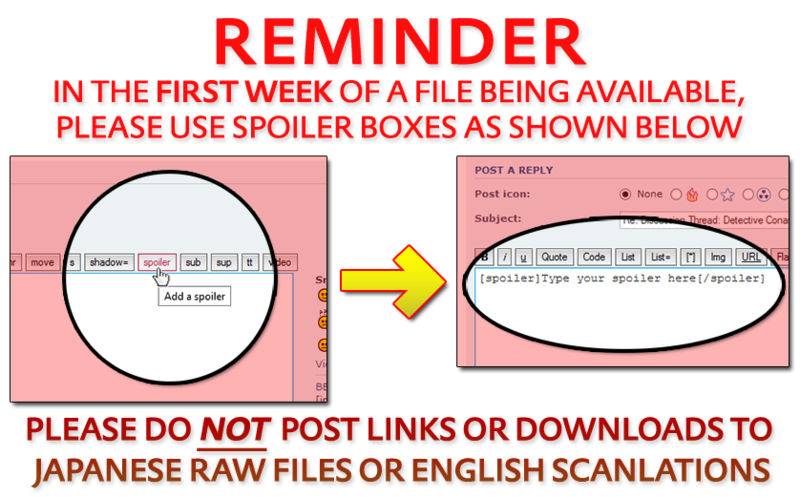 No break next week—we can expect 1,028 spoilers this time next week. "Conan and Amuro getting a gorgeous magazine cover!" "In the snow, trapped in the church building in Nagano, the four—Conan, Kogoro, Amuro and Wakita—at first request to be picked up...!?" Well, basically, Kogoro got a letter and emails from a guy who told him to solve a friend's suicide which might be a murder since there's this mysterious cypher found at the feet of the hung man. For some reason, he's told to bring 4 people with him. Initially, Ran and Sonoko were going to come along but Sonoko suddenly got fever so Ran stays to keep her company. 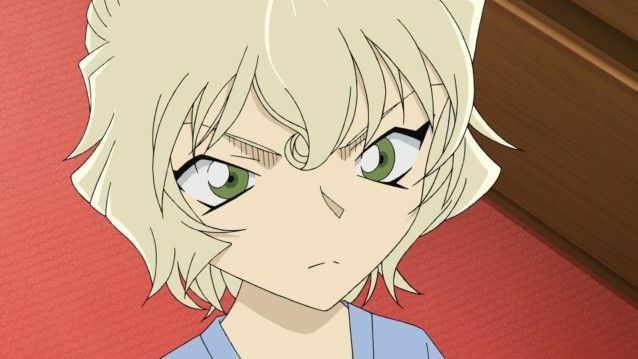 She suggested to Amuro to replace her since the Café Poirot owner and Azusa were going on a trip and the café would be closed in the meanwhile. 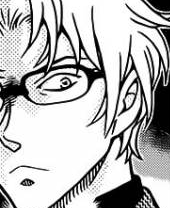 Wakita suddenly appears, saying he wants to come along with his "master" too. The Super Azusa / Azusa is the name of a train service connecting Tokyo and Nagano Prefecture. You're right, I was mistaken about why Azusa is not coming. is squatting again as he stands. It's especially interesting, since we've already had KID cases during the Rum arc where that's repeatedly mentioned as part of his disguise, to fake being someone shorter. The paper says the following: "If you want to hold a memorial service, go to the places indicated below, and one by one, gather words of condolence"
If they all pick the same numbers they'll go by the order of the decks (spade, heart, diamond, club)"
Considering that Scotch's brother lives there... and everybody that doesn't like Koumei likes Kan-chan who both are from Nagano, so don't be surprised . I'm kinda waiting both both Koumei and Kan-chan to appear at the end of this case, maybe something interesting (especially Koumei) they wll have to say. Especially that both of them are the only ones to not consider Conan a child. So if we believe that Rum is Wakita, then Bourbon's hanging out with his boss. thriceplus wrote: So if we believe that Rum is Wakita, then Bourbon's hanging out with his boss. more importantly, the higher-up would be acting like the newbie. 1027 p4 did Amuro say best apprentice or number one apprentice? "Ichiban" can mean "best" or "first" or "number one". In this case it might be "number one" since he's the first apprentice. "Kogoro sends a picture to Koumei who notices something. Amuro and Conan (?) are doing something about the case in the toilet. The glasses guy (Kawasaki?) is the next who should die." Conan asks Amuro about whether he's met RUM. 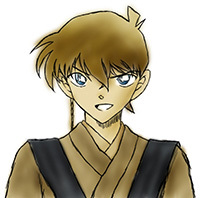 Amuro answers in a roundabout way, saying that if he'd met RUM then Conan would start to check people Amuro relates with, and if he replies that he hasn't met RUM, he'd be wary of unknown persons approaching either Conan or Amuro. In the end he simply gives him a hint: RUM is "very impatient". Also, Kogoro sends the Nagano police a video of the crime scene and Koumei reacts to seeing Amuro in the background, thinking he's seen him somewhere before. Also, next victim is Fujide, the bank employee with glasses. He's poisoned with potassium cyanide but there's no reaction from the water in the bottle he was drinking. A new cipher is found next to him too. (Possibly indicating the next crime will be in the study / library).